SKU: LBRBT002B. Categories: Bracelets, Nautilus. 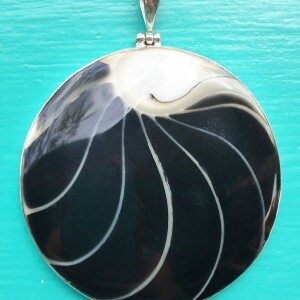 Tag: Nautilus Round Black Bangle. 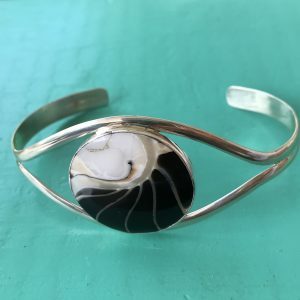 Nautilus Round Black Bangle. This is perfect accompaniment to any of our Nautilus range of jewellery. Handcrafted with Sterling Silver. 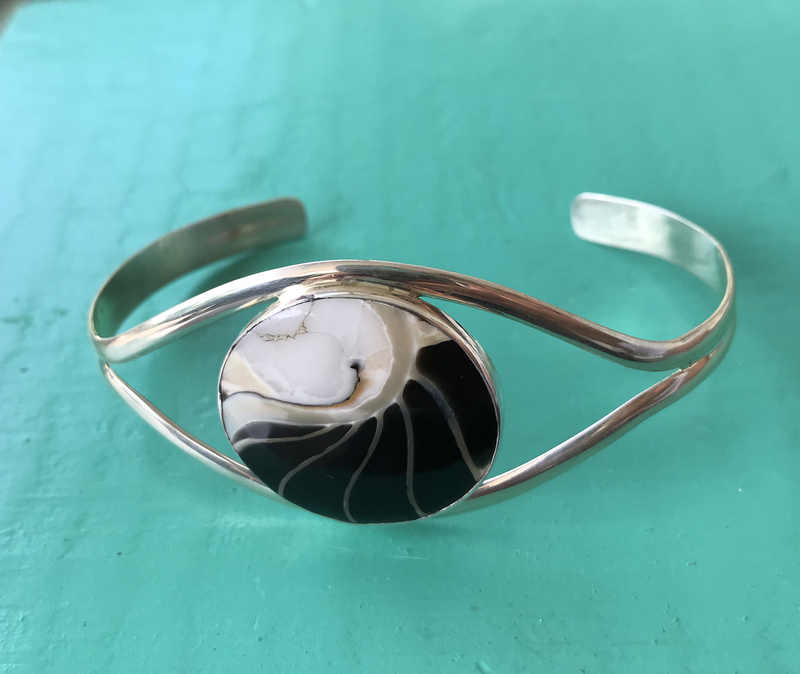 The bangle is inlaid with a 25mm round piece of the Chambered Nautilus Shell, the chambers of which are filled with a black glassy resin to give it its main colour. The Nautilus shell sits perfectly on top of your wrist. 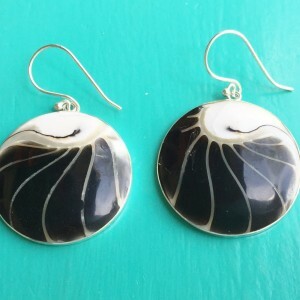 The Nautilus Shell is truly wonderous! A never ending spiral inside the shell is perfectly proportioned and a wonder of nature! Take a look at our other suggestions from the Nautilus jewellery range below. The bangle is adjustable for any size wrist.